Mark Coopersmith provides leaders and teams with insights, inspiration and know-how to drive innovation and growth in their organizations, and launch new ventures and initiatives. His passion: helping you challenge and change the status quo to your advantage! 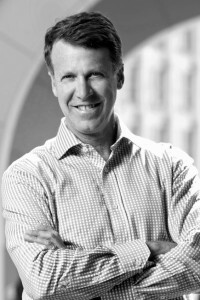 As a Fortune 500 global executive and Silicon Valley entrepreneur, Mark has spent three decades launching, building, and fixing high-growth organizations ranging from raw startups (his e-commerce venture is now owned by Google) to launching new divisions of multinational corporations such as Sony, to reinvigorating existing businesses, all while leading teams from 2 to 2,000. For the past 15 years Mark has also been an award-winning professor at UC Berkeley where he teaches entrepreneurship and innovation to students and executives from around the world. Mark combines his high-energy, humorous and engaging speaking style with a passion for entrepreneurship and innovation, incorporating real-world successes and failures, original insights and frameworks such as the 7 Stage Failure Value Cycle from his book, and practical tools to inspire and focus leaders and teams and help them attain the positive outcomes they seek. Your talk yesterday in front of a standing-room-only crowd at our headquarters was truly exceptional: you engaged the audience so well, had so many relevant examples that drove your points home, and above all the topic and your approach resonated so well with all of us. So many people commented to me afterwards how much they enjoyed your presentation and learned from it. It was the perfect combination of fun and actionable content! Our entire leadership team was really moved and motivated by the time we spent with you. You awoke a sleeping giant within our organization – a great problem to have in these uncertain times! Thanks for delivering such an interesting and valuable keynote address and breakout session at our annual partner conference. Our participants particularly appreciated the combination of strategic thinking and pragmatic examples and calls-to-action. This is just what we need to accelerate the pace of the change in our still-conservative industry. Your ideas, energy and interactive approach were very inspiring! I particularly loved your "Let's go break some other stuff" innovation challenge to all of us, and so many other concepts and challenges you shared. What a great lecture and working session on how to view and treat failure in a positive and constructive way, to accelerate change and innovation. I am taking Mark’s framework right back to my business to change our behavior! Do you seek innovation, growth and better results? In your search for success you will almost certainly encounter failures along the way. What separates the winners from the losers over the long run? 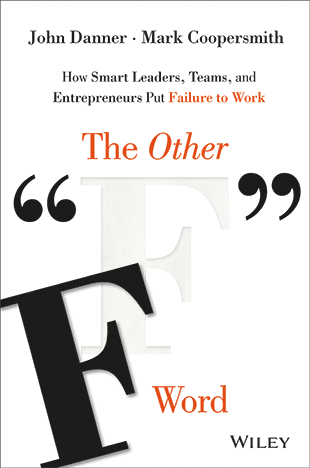 In many cases it is their ability to develop a productive relationship with failure: minimizing its damage, extracting new insights, and putting that new knowledge to work. In this highly-praised and ground-breaking book, Mark and his co-author John Danner share insights on how to do just that, drawing on exclusive interviews with leaders of organizations of all sizes, types and stages. This research led Mark and John to create a powerful framework and tool in their practical 7-stage Failure Value Cycle (FVC). The FVC helps leaders and organizations avoid failure in the first place, recognize it earlier, reduce its impact, deal with it better when it happens (which it will), and leverage it to drive stronger performance. Get free samples of the book, the FVC and Failure Report Card here.